An interview on Mahmoud Darwish, Poet Laureate of the Palestinians, 1941-2008, with Houston-based Palestinian American poet and Iraqi poet, also a professor at New York University. Three days of mourning have been declared in the West Bank and Gaza to mark the death of Mahmoud Darwish, the Poet Laureate of the Palestinians. Darwish was considered one of the most important Arab poets, a towering literary figure for over four decades. The poetry of Mahmoud Darwish is well known and loved across the Arab world by people from all walks of life. Fady Joudah, Houston-based Palestinian American poet, physician and translator. His award-winning poetry collection is titled Earth in the Attic. He has translated recent collections of Mahmoud Darwish's poems into a compilation called The Butterfly's Burden. Sinan Antoon, Iraqi poet, novelist, translator and filmmaker. He is a professor at New York University, where he teaches Arabic literature. He has translated many of Mahmoud Darwish's poems, including those in the 2003 collection Unfortunately, It Was Paradise. Antoon's latest collection of poetry was published in English as Baghdad Blues last year, and his novel is titled Ij'am: An Iraqi Rhapsody. AMY GOODMAN: You have been listening to the poetry of Mahmoud Darwish. Three days of mourning have been declared in the West Bank and Gaza to mark the death of Mahmoud Darwish, the Poet Laureate of the Palestinians. Darwish was considered one of the most important Arab poets. He died on Saturday at the age of sixty-seven years old at the Memorial Herman Hospital in Houston from complications following heart surgery. A small memorial service was held in Houston Sunday, and tens of thousands are expected to converge on the official state funeral in the West Bank city of Ramallah. A towering literary figure for over four decades, the poetry of Mahmoud Darwish is well known and loved across the Arab world by people from all walks of life. Darwish was born on March 13, 1942, in the village of Birwe in Palestine. When he was six years old, the Israeli army occupied and then destroyed Birwe and over 400 other Palestinian villages. His family fled to Lebanon, then returned illegally to a nearby village of Dayr-al-Asad. Darwish and his family became internal refugees living under Israeli military rule, legally classified as "present-absent aliens." By the time Darwish left the country in 1970, he had been imprisoned several times for reciting his poetry and traveling from village to village "without a permit". He lived in exile until 1996, when he was allowed to return to visit his mother. Mahmoud Darwish was politically active for much of his life, has often been called a poet of resistance. He was a member of the Israeli Communist Party in the '60s, then joined the Palestinian Liberation Organization, or PLO. He was a member of the PLO's Executive Committee until he resigned in 1993 over the Oslo Peace Accords. 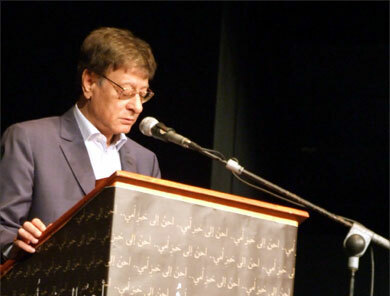 Darwish has written over thirty volumes of poetry and prose and has been translated into thirty-five languages. He published his first book of poetry, Wingless Birds, at the age of nineteen. He won a number of awards during his life, including the Lenin Peace Prize in 1983 and the Lannan Foundation Prize for Cultural Freedom in 2001. I'm joined now by two poets who have translated some of Mahmoud Darwish's work, and we welcome you both to Democracy Now! Sinan Antoon is with us in our firehouse studio in New York, an Iraqi poet, novelist, translator, and filmmaker, and a professor at New York University, where he teaches Arabic literature. His last collection of poetry was published in English as Baghdad Blues. SINAN ANTOON: Happy to be here. AMY GOODMAN: Talk about the significance of Mahmoud Darwish. SINAN ANTOON: It's really difficult to really encompass his significance on so many levels, as you mentioned, on the Palestinian level, but also as a cultural icon, but I would say also as probably one of the last great world poets, because while he started his early career as a poet of resistance, as he was known, but his genius was in transcending himself and to, first of all, bringing the Palestinian tragedy onto the world level, but also transcending himself from a local great famous Arab poet to a world poet who was able really to also elevate, I would say, the general poetic taste in the Arab world and to strike a balance between the personal and the political and the balance between being a very important political poet but also becoming something much more than that throughout his career, and especially developing so much in the last ten or fifteen years, at a time when most poets really struggled to write anything new. AMY GOODMAN: How did you come to know him? SINAN ANTOON: You know, Darwish's poetry is like bread. I mean, that's why so many of us were shocked, because we somehow took it for granted that he would always be there. But growing up in Iraq, we always read his poetry in schoolbooks, but also he would come to many of the cultural festivals in Iraq. And anyone who was interested in poetry—and, you know, poetry is the premier literary form and cultural form there, both—so there is no escaping not being exposed to Mahmoud Darwish and coming to love his poetry, especially in the mid-'80s, I would say, when he inhabited a new level, beyond just being the poet of resistance and the poet of Palestine. And I should say that many—of course, most of the obituaries, especially in English, are reducing him just to the poet of the Palestinian people, and he was that, but he was much more, as well. AMY GOODMAN: Did you meet him personally? When did you meet him personally? SINAN ANTOON: I was fortunate enough to meet him personally twice: in Philadelphia, when he came to receive the Lannan Prize, but also in Cairo in 2003, where he came from Ramallah to recite poetry in Cairo. I was fortunate enough to meet him with some of his translators there. AMY GOODMAN: I wanted to go to Houston, actually where Mahmoud Darwish died, to Fady Joudah, the Houston-based Palestinian American poet, who is also a physician and a translator. You work at the hospital where Darwish died? FADY JOUDAH: No, I trained at it. But no, I do not work at it, the hospital, now. AMY GOODMAN: Can you talk about Darwish's significance and how you came to know him? FADY JOUDAH: I think Mahmoud Darwish is perhaps the most beautiful aspect of Palestine, Palestinians and the Arab world and the Arab language in its contemporary moment. And having that much beauty, certainly, as Sinan mentioned, takes him beyond the local and the regional into a global and universal status. He was a very—a very shy, shy man who was—who people flocked to, and he also was a very gentle and generous man who knew a lot of wanted so much from him—a cup of coffee, a conversation, a signature. He had— he cherished his private life a lot, because he also knew that his—most of his other life was public. In his great poem "Mural," he ends it with a line: "I am not mine, I am not mine, I am not mine." And even in his death, untimely and premature, he had—he spoke true words. He had an amazing prescience, and it is part of his brilliance that all through the decades he could always write things that you could return to ten or twenty years later and realize that he had an amazing sense of vision and timelessness. AMY GOODMAN: Fady Joudah, you translated his last work, The Butterfly's Burden. Can you talk about that? FADY JOUDAH: Mahmoud Darwish is a poet who endlessly tried to renew himself. Again, Sinan said, you know, most accomplished poets, they stagnate in their twilight years, in their late styles, in Adorno's or Edward Said's phrase, but Darwish didn't believe in anything like that. He believed in a continual renewal of birth, and he always loved his newer works. And I wanted, when I got in touch with him, to not focus on what most of the Arab readers in the Arab world, you know, and even in outside the Arab world, always focus on his, you know, epic poems from the '80s and the '90s and even earlier than that. And he always wanted to take the reader with him to his newest work, to his newest elevation of language and aesthetic. And I focused on his latest work, the—collected three books in one volume. The first book was called—is called The Stranger's Bed, which is a collection of love poems, a dialogue between his "I" and his feminine "I," and it incorporates a lot of the fundamentals and traditional canon, I guess, of love poetry developed into a contemporary and modern form and ideal; and also "A State of Siege," which was a memoir lyric poem for the destruction of Ramallah on the opening days of the Second Intifada; and then, after that, a beautiful book, which I think was really a mark of a new breakthrough in his poetic sensibility, Don't Apologize for What You've Done. And in part, I wanted to do that because one of Darwish's brilliant features, I guess, is his ability to always change his language. And The Stranger's Bed was in 1998, and Don't Apologize for What You've Done was in 2003. And if you read the first poem in the book and you read the last poem in the book, you know that there has been a change in the language, moving towards more conversational speech and perhaps daily speech, as he would tell me, still a high lyric and complex metaphors. But it was something I admired about him a lot, and I think a lot of other people always admired his ability to always renew his work. And I wanted to put that in English. I don't think that he—unfortunately, it saddens me to say that he's a latecomer into English. He has been celebrated the world over, but I think—I wish that he had been received and celebrated in English, since, again, as Sinan mentioned, his rise to a class of world poet in the mid-'80s and the early '90s—I don't know if that was a problem of not finding the right translators. It could be. But I'm not sure exactly that that would be the sole reason. I don't know exactly what the other reasons are. AMY GOODMAN: Fady Joudah, could you read the last poem, his final poem, that you are translating now? FADY JOUDAH: No, unfortunately, I cannot. It's a poem that would probably take twenty minutes to read. It's an epic poem called "The Dice Player." Mahmoud Darwish called me about three months ago, told me about his deteriorating medical condition. And then I—a month later, I knew—I read—I heard that he had read the poem in Ramallah, and when I read it, I knew exactly that he was, you know, betting or, you know, throwing the dice on the possibility that this would be his last poem. And he requested from me that I translate it. I can tell you that it begins with: "Who am I to tell you, who am I to say to you what I say to you?" And Darwish's "Who am I?" in previous poems has always been a—had the tone of a more of a true question that really addresses the knowledge of the self. But in this poem, I think, it took on a different tone of humility and resignation, because in its last stanza, he repeats it, and he says, "Who am I to disappoint the void? Who am I? Who am I?" AMY GOODMAN: Fady Joudah, you're in Houston. You're a doctor there. You're a poet. And the first memorial service, funeral, has been held for him there, before Ramallah. Can you talk about what happened in Houston yesterday and also how Mahmoud Darwish died? FADY JOUDAH: Well, he underwent a necessary major vascular surgery and a surgery that carries a high amount of risk, sort of a Catch-22. He was a brave man who loved life and loved to live it in full dignity, and he decided that he did not want to live with the shadow of death or of sudden death hanging over him, and he decided to go with the hope of coming out with a new life or a lease on life, if you will, with this major surgery, knowing very well that if something did go wrong, he would not be the same Darwish. And I know in my heart that—and I know he told me this personally, that he wanted, that if things did go wrong in the surgery, which, of course, as I said, it's a—was a very high-risk surgery, that he just wished not to, you know—not to survive it. And somehow, I believe that his body willed it. He's very full of dignity, as I said, and he would not want to live half the man or three-quarters of the man he used to be. It was—there was a prayer for the dead, for his body, yesterday in the central mosque in Houston. About 200 people showed up. And then, later on in the evening, there was a memorial service, where several people spoke and honored him. And also, a representative from the Palestinian Authority, Rafiq Husseini, came, because several people from the Palestinian Authority were coming to accompany the body back to Amman, Jordan, I think, where it would arrive today. It was a service where you can see the mixture of public relations to Darwish, where, you know, most people don't know, you know, how Darwish loved his coffee or loved his milk or how he slept or how he woke or—he was a larger-than-life figure for us, and I think, for many of us, we—because we did not get the chance to know him, except through his poetry or through his public appearances, you know, we forget that he was a man like us, you know, got up, shaved, took a shower, went to the bathroom, and all these simple daily things. And it was hard to try to focus on him as a person and not on him as a legendary figure who, as he says in one of his poems, both truly and sarcastically, lived like no other poet has lived, a sage and a king. And it's an amazing feat, I think, to know that you have achieved immortality in your lifetime through your art, and as he says, "Death, all the arts have defeated you, Death." And he knows that his art has defeated death. AMY GOODMAN: Many of Darwish's best love poems have become well-known songs throughout the Arab world, because they were set to music by the Lebanese musician Marcel Khalife. I interviewed Khalife last year and asked him about Darwish's influence on his life and why he dedicated his latest album to Darwish. I want to turn to his response, but first, an excerpt of Marcel Khalife singing "Umi," or "My Mother." MARCEL KHALIFE: [translated] At the beginning of the Lebanese civil war, in '76, I was confined to my village because of the political events. I was not in agreement with the political tribe in our area, the eastern area, so I had to stay indoors, in my house. In that retreat, I only had the oud and the books of Mahmoud Darwish. I had just graduated from the conservatory. I was an ambitious young man who wanted to change the world. But in the final analysis, one cannot even change oneself. I said to myself, I have to do something. I began putting these Mahmoud Darwish poems to music. I put them to music so that I could feel my own presence. I never thought that they would become popular songs and sung by millions of people. I felt that Mahmoud Darwish possibly wrote his words for me, or it was revealed to me, a relationship that dates back thirty years with the poetry of Mahmoud Darwish. And this work, I wanted to dedicate to him. My voice is not part of this work, and neither is his poetry. But I have always felt that his mother's bread is like my mother's bread, and the eyes of his beautiful Rita, look like the eyes of my beautiful Rita. His red Indians also look like mine. His sand and his birds also look like my sand and my birds. That's why I dedicated this work to him. AMY GOODMAN: That was Marcel Khalife talking about the significance of Mahmoud Darwish's work. Sinan Antoon, can you talk about the growth of Darwish's work and its effect inside and outside the Arab world? He was also extremely accomplished in Hebrew. SINAN ANTOON: Yes. Well, as I said before, I mean, he started out within what we call the poetry of resistance, inside, when, of course, Palestinians, their movement was confined and their identity was being erased, if we all remember how Golda Meir said notoriously, "There are no Palestinians." So Mahmoud Darwish's response was, "I am an Arab"—or "Register: I am an Arab, and I exist." And he also—his own life, in a way, encapsulates the Palestinian tragedy, in terms of confinement, in terms of having his village destroyed, and then of being continuously displaced. But by the time he left to the Soviet Union and then to Cairo, he had already been very famous. But then he also accompanied the Palestinian saga through Beirut and then the exodus from Beirut. And there are many of the poets of resistance who were famous at the time but kept on writing in the same vein, but Mahmoud is the one who really changed and evolved. And an important factor here is that he was a voracious reader, and he was really open to all of the world traditions. I mean, he, himself, says always that every poet contains thousands of poets within him. So, he contains multitudes, because he really mastered the Arabic tradition, but he was a voracious reader, open to all world traditions. And you can see through his poetry that he tried to weave in the Palestinian saga into other tragedies of native peoples, including the Native Americans here. Perhaps one could say that if even Ariel Sharon had to admit that he loved and admired Mahmoud Darwish's poetry, that really says something, because if poetry can pierce Sharon's heart, then that is really some powerful poetry. But I want to add that he's also a really great prose writer and one of the greatest prose writers we have. In his famous Memory of Forgetfulness, the journal about the Beirut siege, but also recently he wrote an unbelievable prose work called In the Presence of Absence, and kind of anchored, so while a great poet, at the same time he is really a great essayist. AMY GOODMAN: Mahmoud Darwish appeared in the 2004 film by the acclaimed French director Jean-Luc Godard called Notre Musique. This is an excerpt of Darwish's conversation with an Israeli journalist. MAHMOUD DARWISH: [translated] Truth has two faces. We've listened to the Greek mythology, and at times we've heard the Trojan victim speak through the mouth of the Greek Euripedes. As for me, I'm looking for the poet of Troy, because Troy didn't tell its story. And I wonder, does a land that has great poets have the right to control a people that has no poets? And is the lack of poetry amongst a people enough reason to justify its defeat? Is poetry a sign, or is it an instrument of power? Can a people be strong without having its own poetry? I was a child of a people that had not been recognized until then. And I wanted to speak in the name of the absentee, in the name of the Trojan poet. There's more inspiration and humanity in defeat than there is in victory. 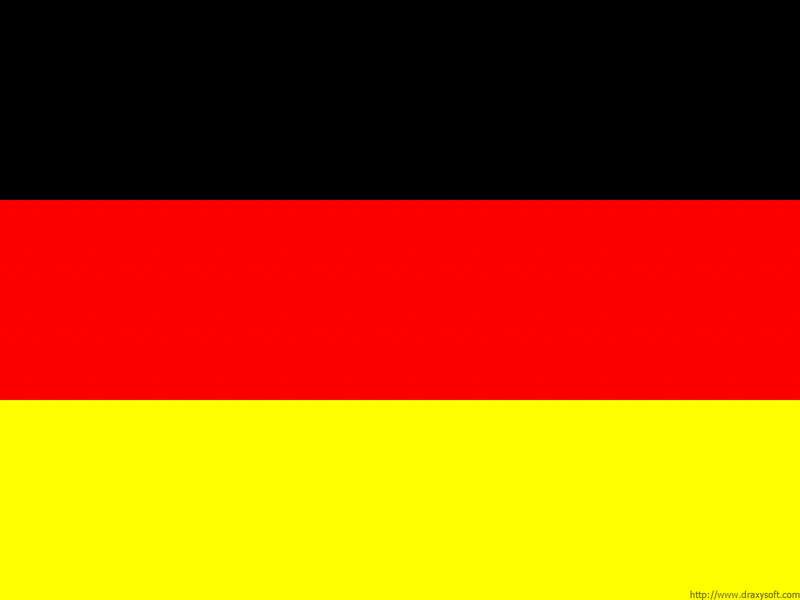 If I belonged to the victor's camp, I'd demonstrate my support for the victims. Do you know why we Palestinians are famous? Because you are our enemy. The interest in us stems from the interest in the Jewish issue. The interest is in you, not in me. So we have the misfortune of having Israel as an enemy, because it enjoys unlimited support. And we have the good fortune of having Israel as our enemy, because the Jews are the center of attention. You've brought us defeat and renown. AMY GOODMAN: That was an excerpt of Mahmoud Darwish in the film of Jean-Luc Godard. We now turn to the words and voice of Mahmoud Darwish, his poetry, his poem "I Am." MAHMOUD DARWISH: [translated] The echo gets closer, breaking the distance, thundering, finds the echo and resounds: forever here, here forever. And the time has gone. The echo has become a country, here. O father, crack the walls of the universe, echo surrounding the echo, and let it explode! I am from here, and here I am, and I am I, and here I am, and I am I.
AMY GOODMAN: Mahmoud Darwish. In 2000, the Israeli Ministry of Education proposed introducing his works into the school curriculum but met strong opposition from right-wing protesters. The then-Prime Minister Ehud Barak said the country was not ready. Mahmoud Darwish died this weekend in Houston, Texas, his body being flown to Ramallah, where there will be a major funeral, thousands expected, on Tuesday. We will continue to cover Mahmoud Darwish, his poetry, his legacy and what happens in these next few days. Fady Joudah, thank you for joining us, Houston-based Palestinian American poet and physician; and Sinan Antoon, joining us here in New York, Iraqi poet and professor at New York University.